PowHERhouse proudly announces PowHERtalks, a Ted Talks-style speaker series for women. 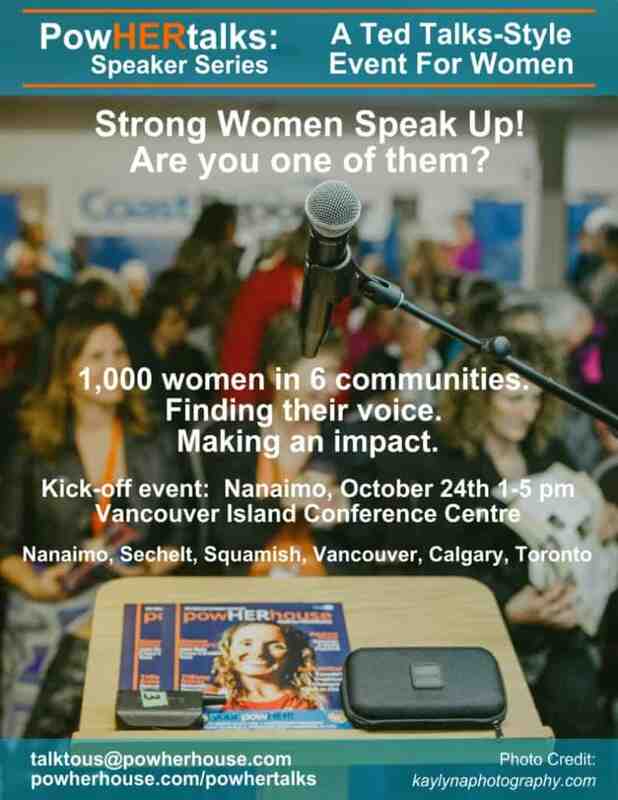 Nanaimo and Sechelt PowHERtalks speaker application deadline: August 31st. Are you interested to host a PowHERpod in your community? At this time we are welcoming conversation with potential partners, sponsors and collaborators. We will continually update our Events page and Event Details summary to keep you up-to-date.